Helene is a calligrapher and stationery designer. 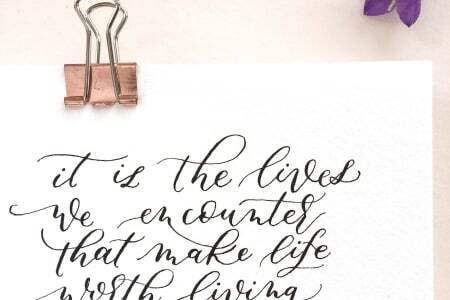 She works in her home studio in South West London, creating calligraphy pieces for events, corporate clients or private commissions. 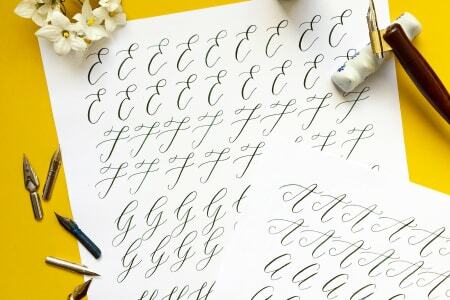 She loves how calligraphy is a never ending creative & inky adventure where there is so much to explore, from older styles like Copperplate to newer forms of modern script. Wanting to share her passion with others, she offers workshops to people who wish to discover a mindful activity, find a new creative hobby or spend a lovely and relaxing time away from all the noise of our daily lives. What a lovely way to spend an afternoon! Helene is a fabulous teacher - patient, kind and fun. The class size was really small so she was able to get around everybody and help with individual requirements and levels. I'd love to do more classes with her in the future! We were all made to feel very comfortable and had all the equipment needed to get stuck in. The time flew by and then as soon as I got home I sat for a further couple of hours practising. I've since ordered all the materials so I can continue developing this new hobby at home! I really enjoyed this workshop & Smitten with Ink were brilliant! This was also set in great surroundings, and the sunshine helped to add to the excitement. Helene was such a great teacher, and she worked at our pace. Another 30mins or hour would have been great to practice more under her guidance, but even so she was just brilliant and I'm being selfish in wanting more time as I was having so much fun! It was a small class of 4 people which was just perfect in getting the most out of this class. Helene was very helpful and informative, she knows her stuff! Such a great workshop... I couldn't wait to go home and keep practicing! Definitely a workshop I would recommend to others! Helene is knowledgeable and also very helpful in providing me additional information for a left-handed writer. Enjoyable class set within a beautiful park! I loved this workshop for so many reasons! The location was so unique, a little classroom setting within a park. The table set up was so lovely, we each had a pack laid out with all the materials we needed and name cards that had been handwritten in calligraphy which was a wonderful special touch. It was a small intimate class of 4 people which was great as it meant Helene got to help each of us more. She was super helpful, very patient and encouraging as I was really struggling with holding my pen correctly in the beginning but she stopped and helped me until I got it right. Helene was also most hospitable, regularly offering refreshments through the workshop. This is a great beginners workshop and I couldn’t recommend it more! I had been looking forward to this class for weeks, and it didn't disappoint. It was a small class of 7 of us which allowed Helen to give us a lot of one to one time and help. Helen was engaging, approachable and her love for calligraphy was clear. The learning pack is really helpful and I came away feeling confident that this was a skill I could master. I have been practicing every day since. 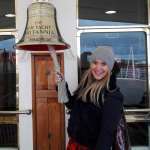 Helene was extremely friendly and knowledgeable. I started the workshop as a complete novice but left feeling that I had learnt lots and had the confidence and resources to practise and develop my new skills further. I can’t believe how quickly the two hours went. The work pack and follow up email with further information were very detailed and helpful. The venue was beautiful and the chocolate was appreciated! Thank you for the enjoyable afternoon. The course was excellent. Helene was a great teacher, very helpful. I would recommend this class for beginners and improvers. This was a beautifully relaxed (& relaxing) class. Helene was very informative & approachable, welcoming all questions. The materials & equipment provided to take home was of good quality making this class great value for money. My daughter & I attended Hellenes class in Wimbledon Park as a birthday treat. It was very enjoyable & a nice small class size. The information provided was very helpful but I do think it may have been good for Hellene to have had a large board to demonstrate on too. We’ve both been practising since, can’t wait to write my Christmas cards with style this year ! Really enjoyed this workshop on a wet Saturday afternoon in Wimbledon. Helene was a lovely host and had everything beautifully prepared for us. The session itself whizzed by but we were able to take everything home with us so we could continue to practice. Would definitely recommend! Helene was a fabulous teacher for my first foray into calligraphy. She was informative, skilled at her craft, could answer any questions and wasn’t overbearing when learning the first strokes. The class was in a lovely garden room which was the perfect escape to a cold and damp Saturday afternoon. Would highly recommend this class! Very good! I had a great time, the location was lovely and Helene was great and full of advice. The class was informative and fun, didnt notice the time passing!! I was surprised and happy that we got to keep the ressources to keep on practicing at home which I didnt expect. Thank you so much Helene, would definitely attend a class for next level. Really good fun and with very good instructions . I was really surprised how much we were able to do by the end . Would recommend! I really enjoyed Helene's class. It was a nice small group and the pace was just right. I'd highly recommend it to anyone who wants to have a go at this beautiful hobby. It has inspired me to learn more about calligraphy and I'm now looking forward to the intermediate class! When I signed up for this class, I did not have any experience in calligraphy. Helene was very attentive and walked us through the process step by step. It also helped that she provided all materials needed. It was a very fun experience and the time went so quickly! I would definitely recommend this class for beginners. Helene was a great teacher and this was a wonderful class, she made it really easy and fun to grasp and I would absolutely recommend taking this class! Helene was informative and friendly. She explained the strokes - giving us time to practise and get used to the pen. Helene frequently walked around the group offering advice and tips to individuals. There was a lovely atmosphere in the workshop and suggestions on equipment and further tuition if we wanted to continue. It was a lovely couses and I came away equipped to continue to practise at home. Helene was friendly. I arrived late with about 16 minutes past and she recapped with me everything she said before I arrived. The venue was quite small. It was very far for me coming from North West London. It was quite difficult driving around the streets of Hammersmith. I think £50 is too expensive for the single pen, nib and ink one get. This was an excellent introduction to modern calligraphy. The venue was good and easy to find. The teacher was very friendly and informative. She had prepared the room well and made sure that she gave everyone individual help and instructions. We learned how to hold the pen and make basic letters. The teacher also gave ideas for further practise. A very enjoyable afternoon. Having never done any calligraphy before, I attended this class on 9 February 2019, and came away inspired to pursue this new hobby further. I now find that practising calligraphy is wonderfully therapeutic - a great way of slowing down the mind. Our teacher Helene was very friendly, and gave us clear guidance on everything we needed to know to make a start. 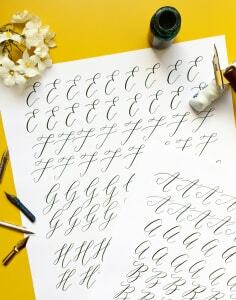 Calligraphy seems to be one of those subjects where different experts have different views, and for a beginner that can be confusing and daunting. But Helene gave us clear guidance not only in the class; she also kindly agreed to give advice if we texted her afterwards, and she has given me some very helpful steers. She inspires confidence that she knows what she is talking about, and so I intend to book another class with her soon. Helene was lovely, a calm and clear teacher. She provided good quality materials which we took home. She also gave lots of individual attention. Lovely venue in a park and she sweetly provided drinks and sweets too. We absolutely loved our course. Helene was perfect; so patient and so knowledgeable. The atmosphere was fun and friendly and everyone got along so well even though we had only met that morning. Helene put us all at ease and no question was too much trouble. I'd definitely go again.